This winning 'Dream Team' was recognised twice at the 2018 Property Council New Zealand Awards held at Auckland's Spark Arena on Friday 15 June. 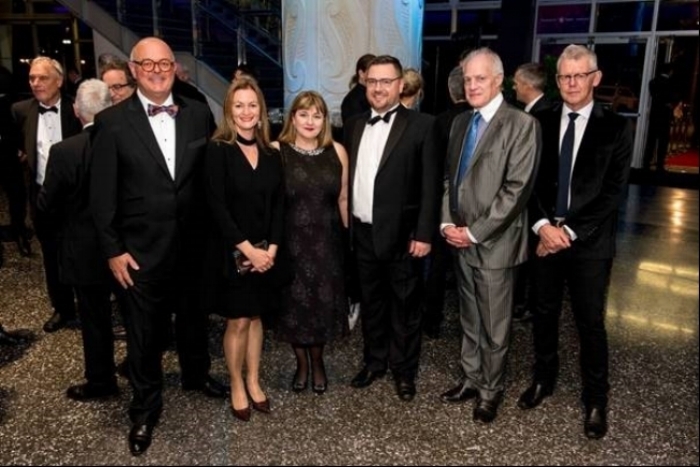 It was a great night for the team who took out the top Heritage & Adaptive Reuses Property prize, and a Merit Award for Civic & Arts for the Dunedin Law Courts Restoration project. The project also won a Heritage Award at the 2018 NZIA Southern Architecture Awards held in Dunedin in early June. Stephenson & Turner took away an Award of Merit for Upper Hutt College at the prestigious Property Council New Zealand Rider Levett Bucknall Property industry Awards, held recently at Vector Arena in Auckland. This five year redevelopment project took place over 9 stages and included several new buildings as well as extensive alterations to the existing. S&T worked with the school to create contemporary learning environments imbued with a sense of school pride, identity, culture, community connected-ness, accessibility and sustainability.